For Autumn-Winter ’16, Global Sports Brand PUMA looks into their deep sports archive to bring into fruition the Duplex Evo, a style that reimagines the DNA of its 90s predecessor. A take-off the vintage runner, the Duplex Evo has been given a fully redesigned EVA outsole, optimising it for the street rather than the track. With increased flexibility, cushioning, durability, the lightweight sneaker boasts a poignantly modern aesthetic. Tapered panels form the shoe’s upper, which rides on a redesigned tread pattern to ensure comfort and a sound grip. A seamless mid-foot support system lives on as a nod to the shoe’s early running roots. Over-all, this sleeker, more techy update allows for multiple colour treatments, framed by a seamless mid-foot support arm that calls back to its classic roots. The Duplex Evo ensures a modern and minimalistic look when paired with PUMA’s versatile Speed Front woven pants and graphic Speed Front crew. Available in fully monochromatic tones to bright, multi-coloured iterations for men and women. 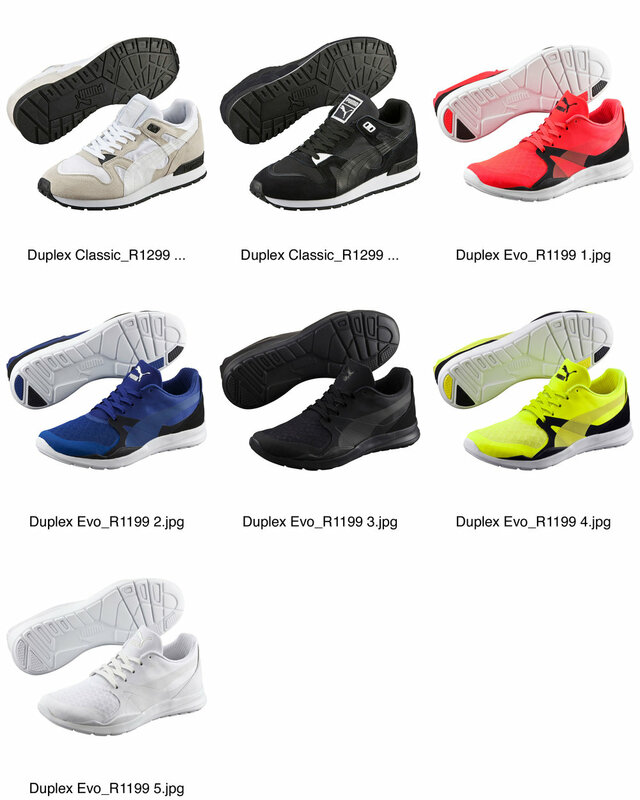 The Duplex Evo (R1 199), Duplex Classic (R1 299) and Duplex Rise (R1 799) will be available from September through to November at PUMA stores, Sportscene, The Cross Trainer stores and selected retailers nationwide.